Tanzania's finest, Diamond Platnumz, is in town for the funeral of his mother-in-law. Zari;s mom died yesterday and she will be buried today in Busunju. 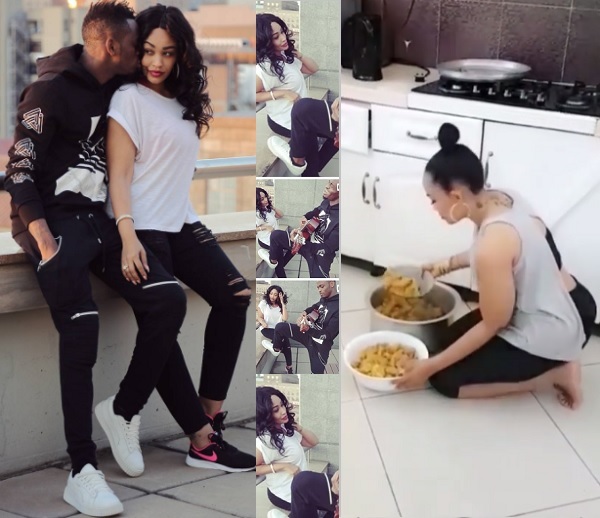 In the pic above, Platnumz is seen chatting with Zari's dad as his wife is well seated on the floor following the conversation. They later resorted to the sofa and started following various comments from fans on different social networks. 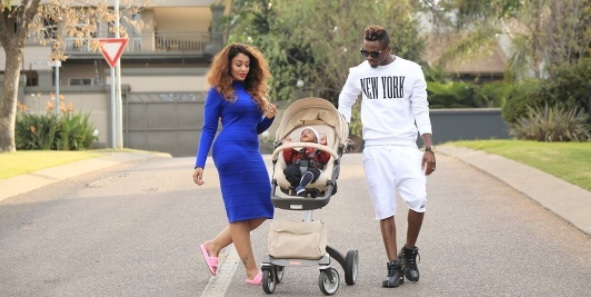 Platnumz was having shows in Nairobi when Zari's ex hubby died, but this time around, he was flexible. 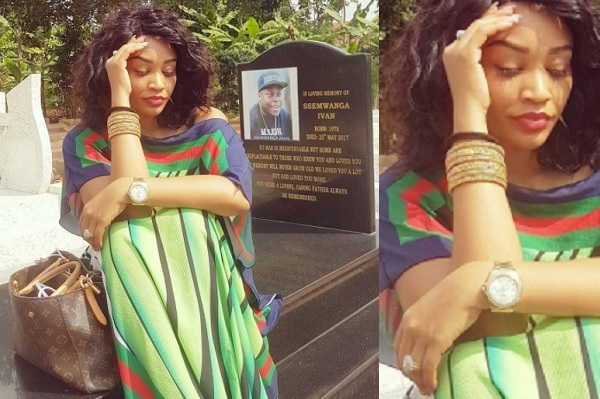 It's been a difficult time for Zari, at the time when her mom passed, she had gone back to check on her little son, Nillan, who was equally not well and before that, she was in Kayunga visiting her ex-husband's grave. 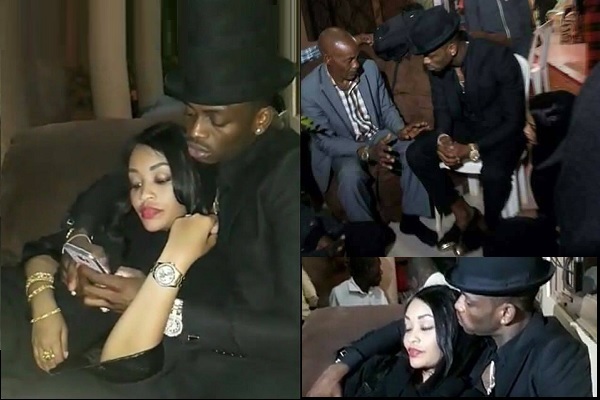 Zari's mom died of diabetes and high blood pressure, she was aged 58.